The first round proper of Men's Singles and Women's Singles will have 128 places and the first round proper of Men's Doubles, Women's Doubles and Mixed Doubles will have 64 places. Qualification for singles initially comprise groups followed by one or two knockout rounds. Qualification for doubles is by knockout. 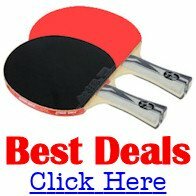 Each association can enter 3 men and 3 women players in each singles events - plus one additional player ranked in the top 100 and one additional player ranked in the top 20 of the ITTF world ranking list issued in January of the year of the Championships - up to a maximum of 5 men and 5 women. The host Association can enter up to 6 men and 6 women in each singles event, 3 men's doubles, 3 women's doubles and 3 mixed doubles regardless of ranking.